A friend and I have recently taken up free diving. It appears however, that here, down under, there are no free divers... Well not that we know of.. Is there anyone who lives/frequents Melbourne in Australia and would be interested in catching up for casual or permanent training sessions? your right there arent many freedivers in Melbourne... but i think there are a couple through melbourne Uni that train, also play Underwater hocker too, so maybe worth contacting the underwater hockey guys, also the Southern freedivers,primarily spearo's but a couple of freedivers amongst them. the majority of freedivers here in aus are based in Either Sydney or North Queensland with a couple of people training in Canberra and Brisbane. know of a couple in south Aus etc as well. i believe Walter Steyn was speaking with a small group of Melbourne divers recently about a course so there must be a couple around. I'm hopping in the middle of this thread. I'm a free diver from Finland and starting to travel in Oz. Our first stop is going to be in Perth. I was hoping to find company for fun dives, deep dives or pool sessions. Is the situation really that bad for free diving in Australia? Man you have the waters! Despite what you think there are quite a few freedivers around the coast of Australia (and a few inland as well). They tend to be segmented into small groups, being the large country we are. But I know of a few freedivers in Melbourne that train regularly and also do some ocean dives too. Also jump on the AFA Facebook page, there are a few Melbourne freedivers there trying to find each other (also a couple here on DB). I do some freediving in Melbourne, I was out last week on the boat just doing some training. But it is fairly rare that I get out. I am trying to get out more and more though. Ah Wicked, people in melbourne do exist. Well sam I'ed be interested in tagging along sometime or hooking up for a training session if you're willing? I was thinking of going out to freedive the Canberra soon, I'm not sure how much time I will have for training but there is a group in Castlemain that do some training up there I think. Have a look on the facebook group too. Its not very busy but it is something, always good to check back and keep in touch. Mick rosenstein also is worth saying hi to, he used to own the Brusnwick hotel, but sold it recently and is opening up a wine and blues bar somewear around that north western side, i think pascoevale maybe? if you drop into the brunni hotel and ask around someone will have his number off hand, he was a pretty popular publican and ran a great place! nice guy and doesnt mind a good beer or wine after a days diving either. AHHH and support the Growth of the SPort in AUstralia and join AFA (AIDA national for here)! we are organising a couple of great competition with ranking status, gonna be a great way to meet more freediviers, and the more members we have the more we can grow the sport! No wait - that's a new feature our web officer put up recently, it is currently directed to his email... it's all making sense now! The Canberra - that was sunk recently right? What's the depth approachability like? Very far offshore? Check out this link to get in contact with some of the guys in Perth. Its only accessible by boat, but there are 4 permanent morning lines and I can't wait to give it a go, maybe in the next week or two. Well, I'm new here getting into some pool training seriously, having a struggle finding people to join me though. I'm here and keen drop me a message if someone is interested! Can't open melbournefreedivers.com now. I started freediving on 2018 and looking for dive buddy as well.  Contact or drop in at Adreno dive shop on Nepean Hwy Cheltenham - they sell a lot of freediving gear, and I am sure they would be able to put you in touch with other freedivers. Also, Ocean Divers dive shop on East Boundary Rd Bentleigh. Check out @onebreathdiver on Instagram - he's always posting about dives he has done on the Mornington Peninsula.